Imation today officially starts shipping "the world’s first Wireless USB external hard drive," the Imation Pro WX. It’s a 1.5TB hard drive with an MSRP of $450 — too rich for my blood but it may be able to find a home in small businesses or larger households. Seeing as though you’d need a special wireless USB connector attached to each computer, a network hard drive will still make a bit more sense for most people (no special equipment needed, longer range, etc.) until the prices of these wireless USB products start to fall. 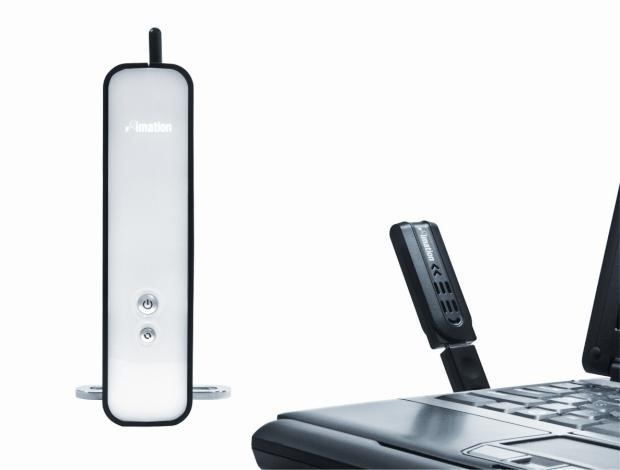 The data transfer rate is pegged by Imation at "up to 15MBs/second" and the drive boasts a wireless range of up to 30 feet.